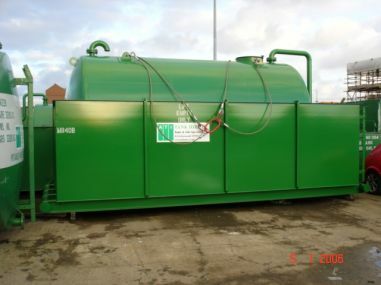 • Our bunded tanks comply with The Control of Pollution (Oil Storage) (England) Regulations 2001 and have been built in accordance with PPG2 and BS799. Bunded storage tanks – open or self bunded – help site operators achieve compliance with environmental regulations. They are easy to position and operated on site. Full units may be fork lifted and moved on site.